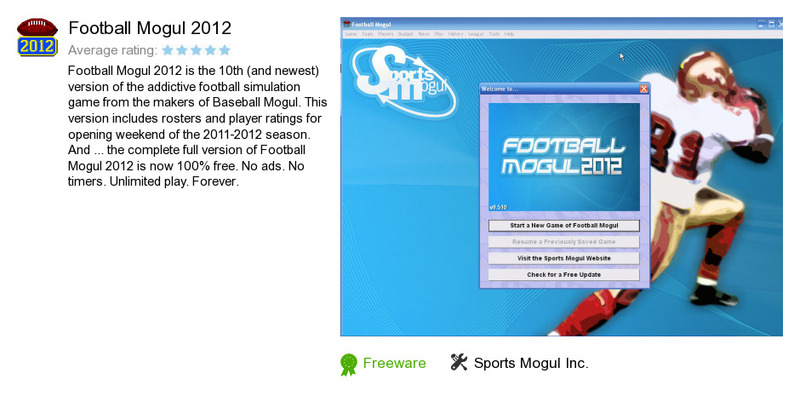 Football Mogul 2012 is a software product developed by Sports Mogul Inc.. We know of version 9.5. Version 9.5.2 is downloadable at our site. Football Mogul 2012 distributive has a size of 30,630,804 bytes. Sports Mogul Inc. also publishes Baseball Manager and Baseball Mogul 2009.